Barter Durgan’s proactive approach allows us to work with you in minimising your tax liabilities, ensuring all available reliefs and allowances are used. Planning ahead is key in establishing the most tax effective structure for your business. 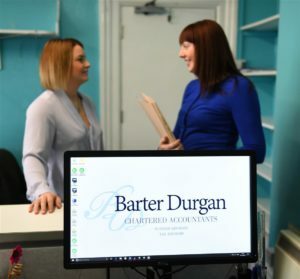 The services offered by Barter Durgan are designed to ensure you comply with all HMRC regulations, whilst planning ahead to ensure you have a tax efficient strategy that will help support your business and increase your wealth. Corporate tax can be a complex area, which is where our expertise comes in, our friendly driven team are always happy to help with their technical knowledge and years of experience. Leaving your tax needs in the hands of Barter Durgan will enable you to spend more time focusing on your business, allowing you to grow your business. Contact us today to discuss your tax needs and see how we can help.